Welcome to our caravan suspension spares page the place to always return to when you need a spare part for the repair of your caravan suspension, you will also find brake parts wheel nuts and various other small spares the suspension repairs may require. Hi I'm looking for corner steadies do u have any? Also do u have a shower cubicle to fit an Ellis crusader super sirocco 2007 thanks. Rear offside stabiliser leg , for Abbey Belmont 470 SE 2001 needed please. Alko shock absorbers (blue) pair with mounting plates for hub. ​I need a bpw axle and corner steady for Fleetwood colchester 1500 2eb 1998/99.would an alko axle fit.thanks. Hi, the axle of my boat trailer needs replaced. It's alko. Do you have any second hand axles and how much would it be. We have occasionally for sale aluminium wheels we have salvaged from a chassis, most sizes are available the main popular ones being on this list drawn up buy the camping and caravaning club which also has loads of pertinent information on wheels and tyres. View some sample caravan suspension spares and other parts requests below. 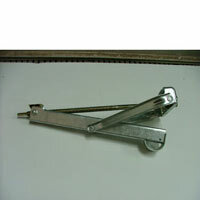 Hi I am after a stabiliser bar for my caravan do you have one in stock. Thanks. Looking for a work top for my coachman pastiche 534 2009 fixed bed, the work top goes on the right hand side as you walk thought the door above the fridge and fire they is nothing in it like sink or hob. The work top is a blue/grey colour if you require and other info please call me. Lunar Planet Mercury 2 berth we are in need of an outside door please. The year is approx 1997 but I can check for certain if you need to know (found the exact same model on Ebay and that is 1997). There are other parts we need but this is the main one for now. Thank you. Hi. I'm looking for caravan suspension spares, alko jacking points to bolt to the chassis I would prefer the heavy duty ones but normal ones maybe OK. Thank. 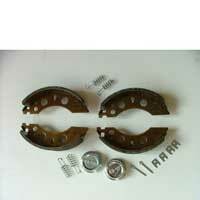 Caravan Suspension Spares Page Links To All Parts Pages.